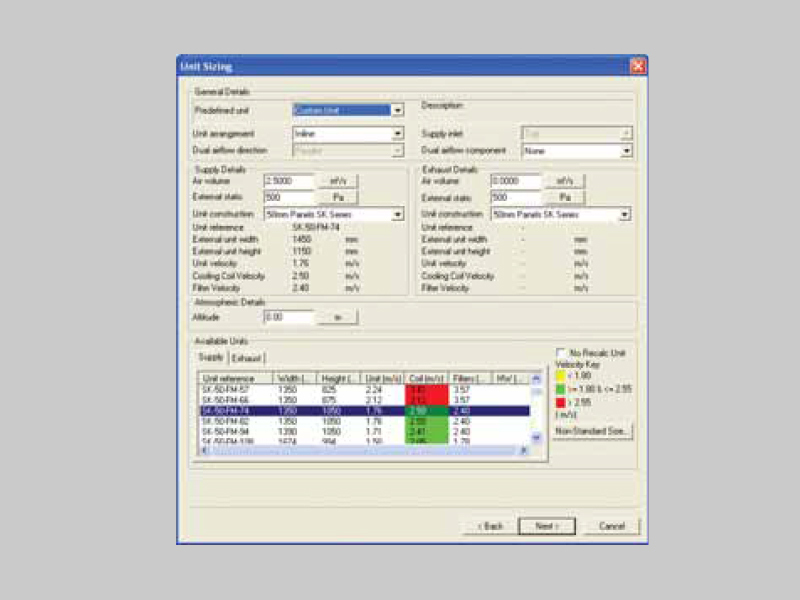 Our tailor made selection program enables us to provide faster, precise product and services along with comprehensive technical details including psychometric chart, fan curves, acoustic details and commercial offer. The program is already applied for the “Eurovent Certification”. 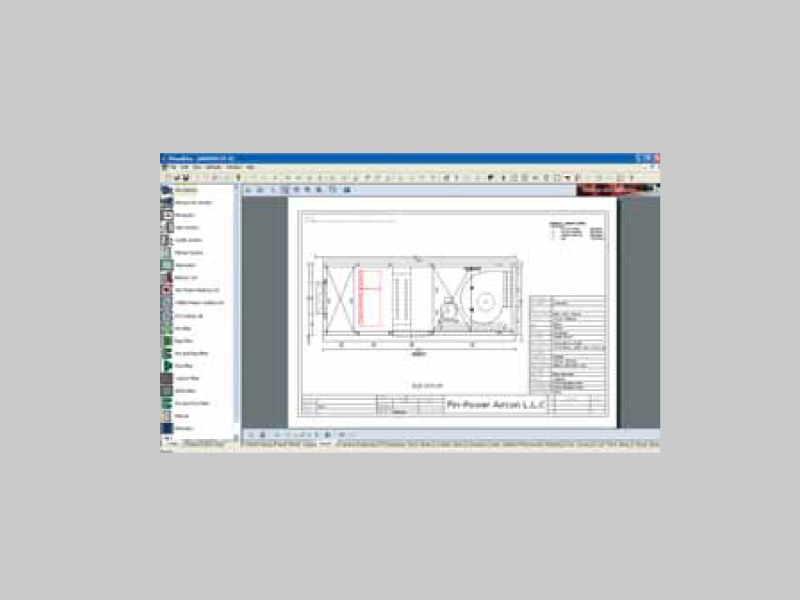 Standard Model along with custom built Air handling units can be selected. 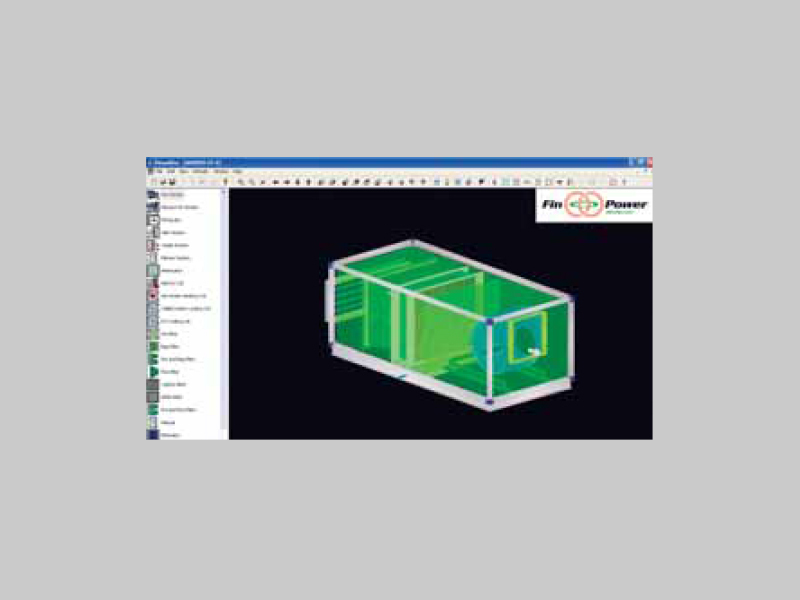 The software is incorporated with the cooling and heating coil selection both with water, Glycol and refrigerant based medium. The casing construction is in accordance with Eurovent prEN 1886 complying the following requirements. 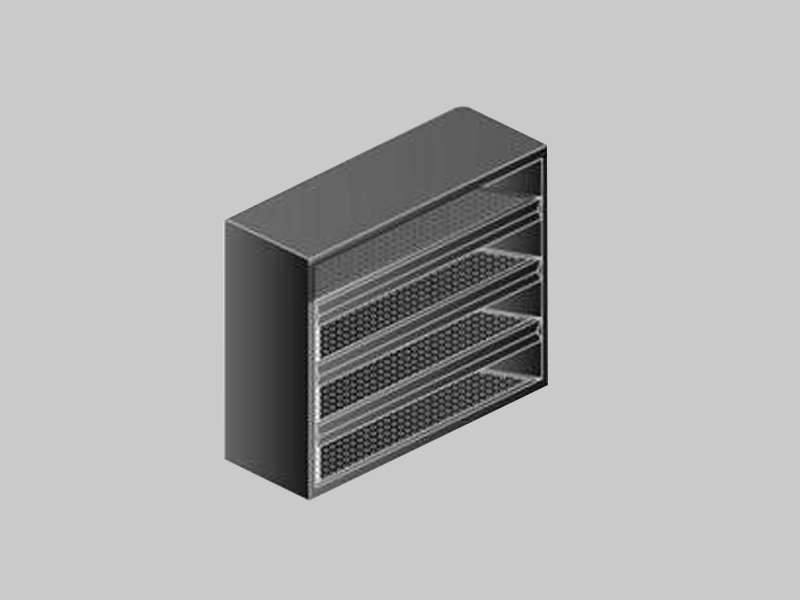 Structure is made from hollow extruded heavy aluminum profiles, anodized for extra anticorrosion protection. Frame provides excellent rigidity and stability to the structure along with the good aesthetics. 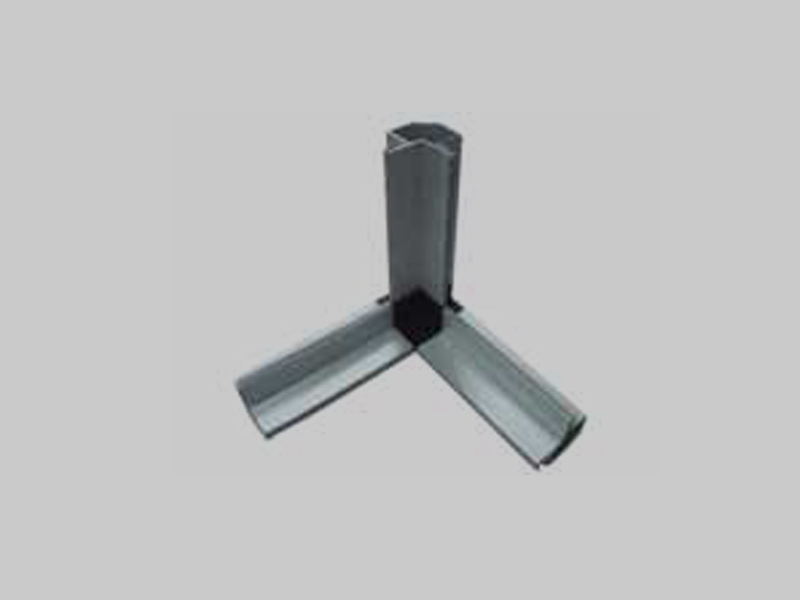 These profiles are specially designed for HVAC applications, Profiles are connected by means of special die cast Glass filled nylon corner piece to form the air handling unit sections. Frame sizes for panels of various thickness such us 25mm and 50mm are also available. 50mm thermal break profile has an excellent thermal bridging and least thermal transmittance properties which are in accordance to EN1886. 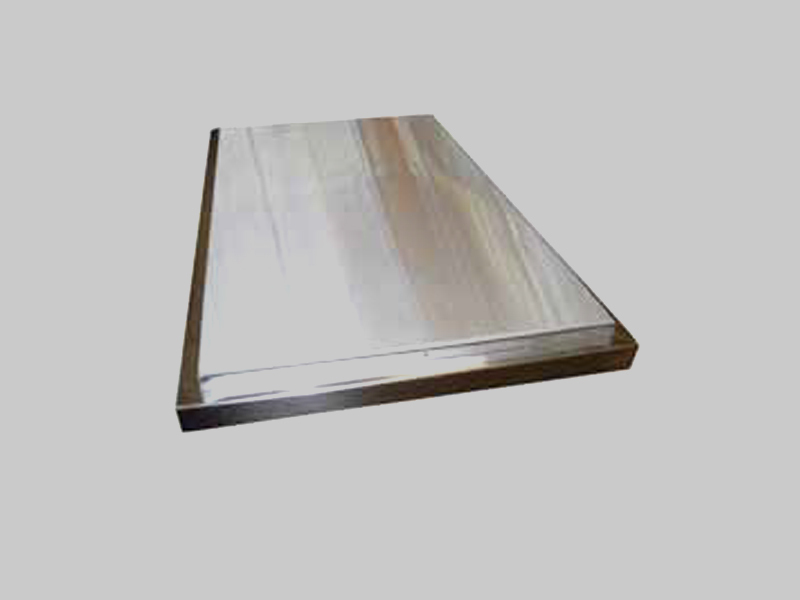 Panels are sandwich double skin type with outer sheet as Pre painted galvanized steel and inner as galvanized sheet. maintained however higher density up to 48kg/m3 can also be achieved. Stainless steel 304, Stainless steel 316 or Aluminium sheets can be provided for double skin panels as an option. The Polyurethane injected panels have an excellent heat insulation and noise reduction properties and add extra mechanical strength and rigidity to the structure. 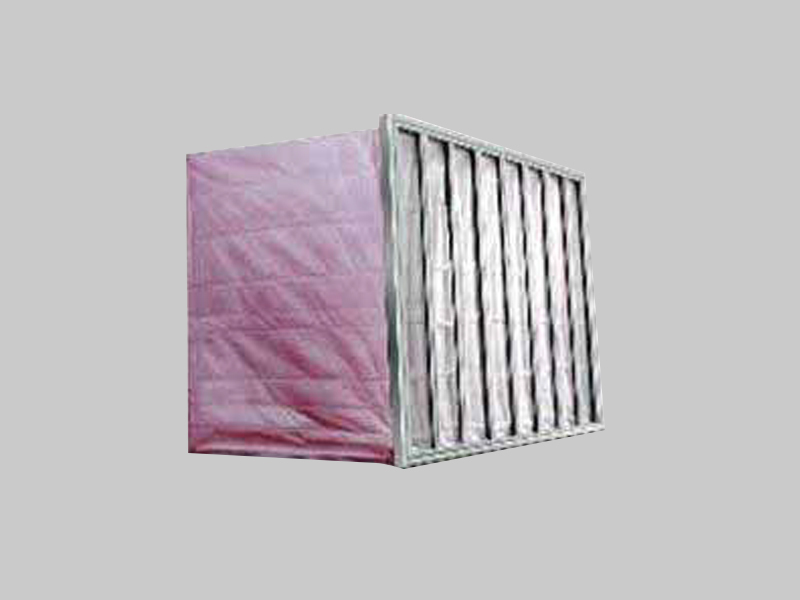 The factory injected PUF is CFC & HFC free and self extinguishing type. The maximum heat transfer coefficient for 25 mm, 50 mm and 50 mm thermal break is U = 0.73 w/m3K an 0.35w/m3K respectively. 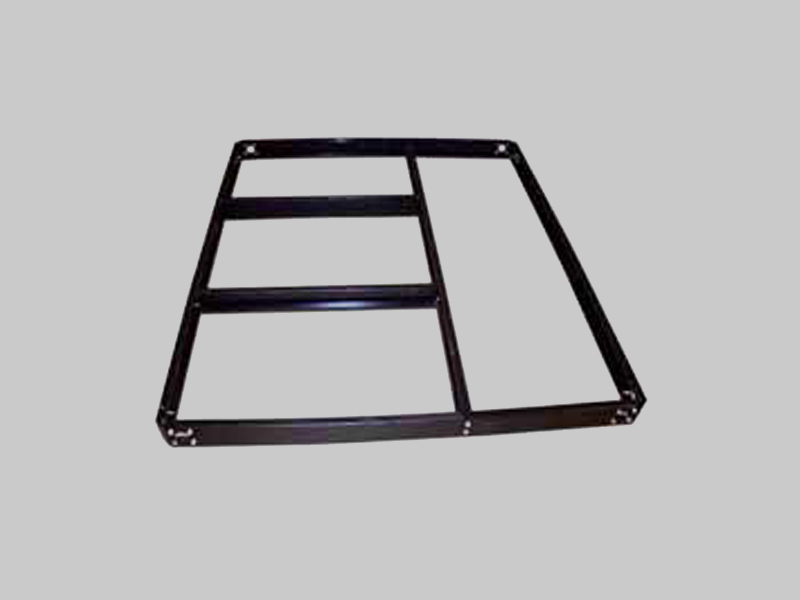 Panel are fixed to profile with high quality gasket which has excellent sealing properties and good resistance to compression stress and temperature. Base Frame is constructed out of the sendzimir Galvanized sheet steel with factory applied epoxy paint & heavy duty lifting holes. 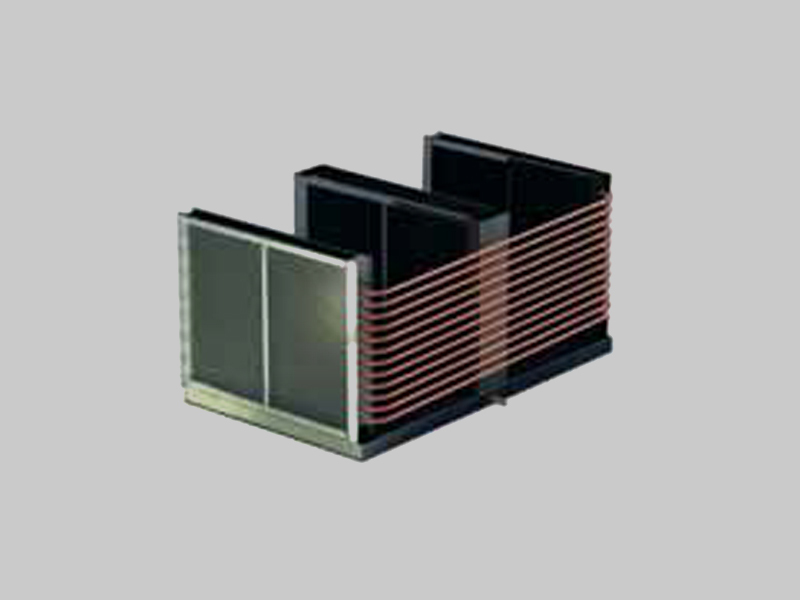 Mild steel channel frames are also provided for larger capacity units. 100 mm high Base frame is provided for the floor mounted units. Hanging supports are provided for the ceiling suspended units to hang the units. The unit consist of double inlet double width AMCA certified fans, which can be either Forward, Backward curved or Aerofoil bladed. The type of blades are selected on the basis of static pressure and efficiency requirement. 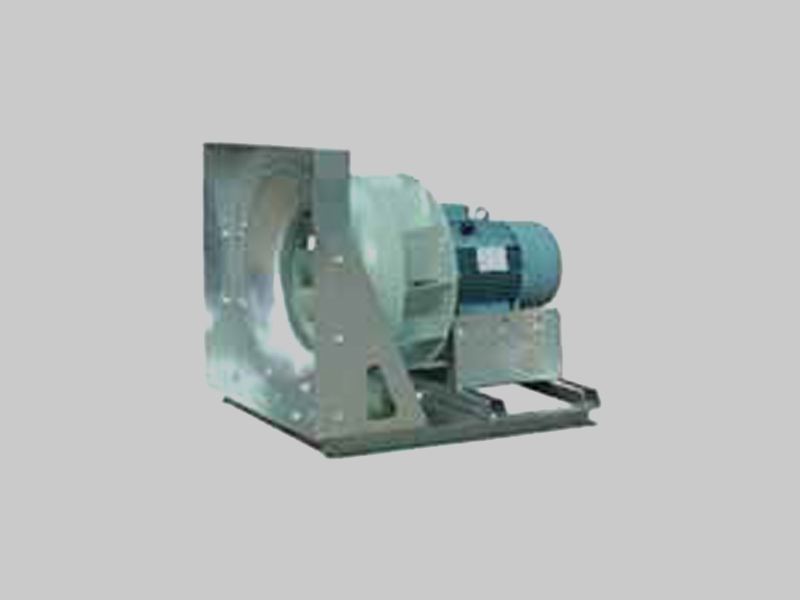 Single inlet single width fans i.e. 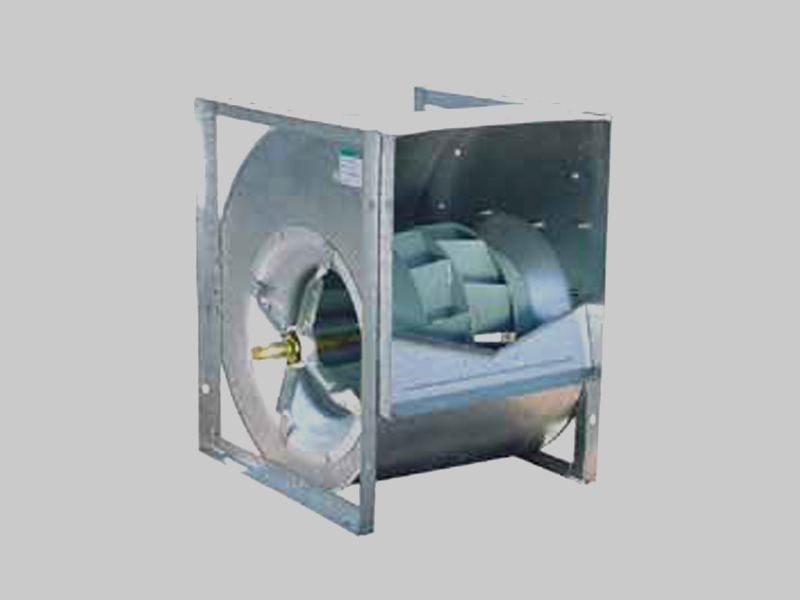 Plenum fans are with backward, curved or Aerofoil bladed especially for the Clean rooms and Hospital Projects. 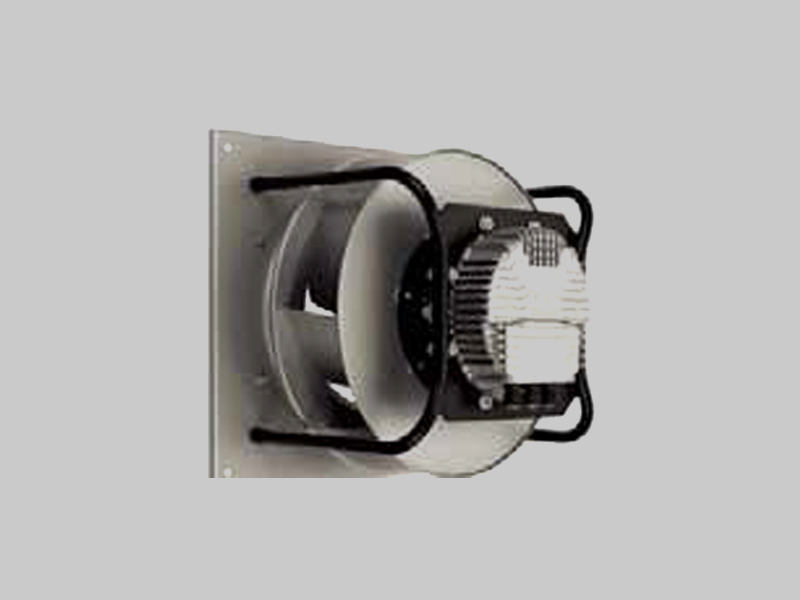 Plenum / Plug type backward curved fans with motors directly coupled to the fan is also available as an option. The Fans are AMCA certified for the Sound & Air Performance and Fan grade efficiency. Generally all wheels are statically and dynamically balanced to ISO1940 and AMCA 204 – G2.5 standards. Generally all fans aft er assembly are trim-balanced to ISO1940 and AMCA 204 – G2.5 standard. Plenum fans with high energy efficiency EC motors are also available with low noise, low power consumption and longer durability. 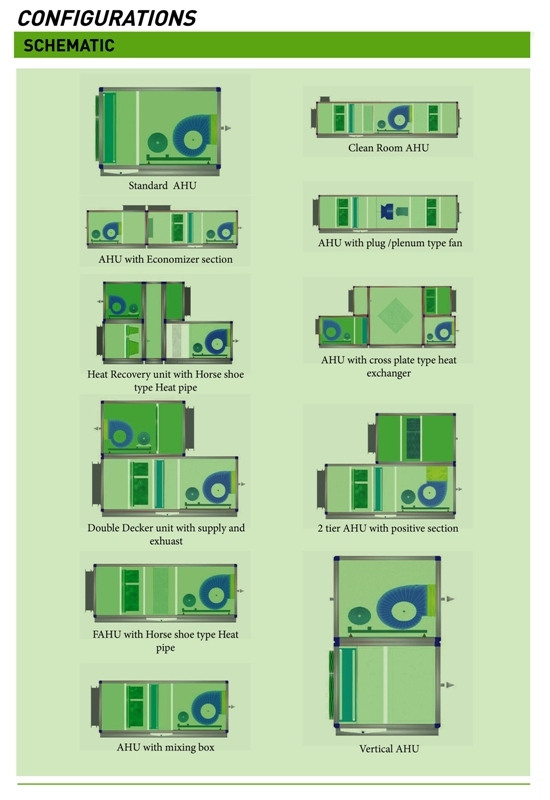 Clients looking for high energy efficient units can opt for AHU’s with EC fans, which can save up to 50% of power consumption as compared to conventional fans. 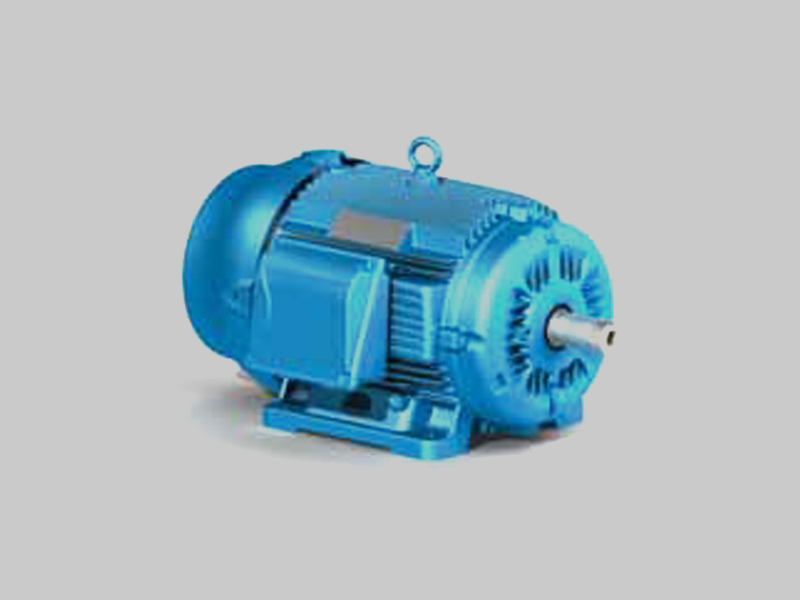 Standard Foot mounted, TEFC, 3 phase induction motors are provided with standard efficiency EFF-2, High energy efficiency EFF-1 & premium efficiency motor can also be supplied. All the motors are standard foot mounted TEFC, IP 54, Class F Insulation with temperature rise to class B. Motors for special application can be provided like Flame proof or explosion proof. Permanent magnet motors can also be provided. 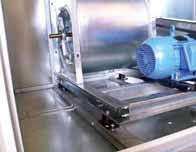 Fan and motor are mounted on heavy gauge galvanized steel base frame with high efficiency vibration isolators (Spring Isolators or Rubber mounts) ensures no vibration is transmitted to the unit casing. The Isolators are designed for 92 % efficiency. The Isolators are selected on the basis of weight of the fan and motor assembly and the higher value of RPM of the Fan or Motor. Cast iron pulley with balancing equals to G2.5 is used with minimum of 2 grooves, SPA and SPB type of pulleys are used based on the motor capacity. V belts used are of high grade, anti static and oil resistance type. 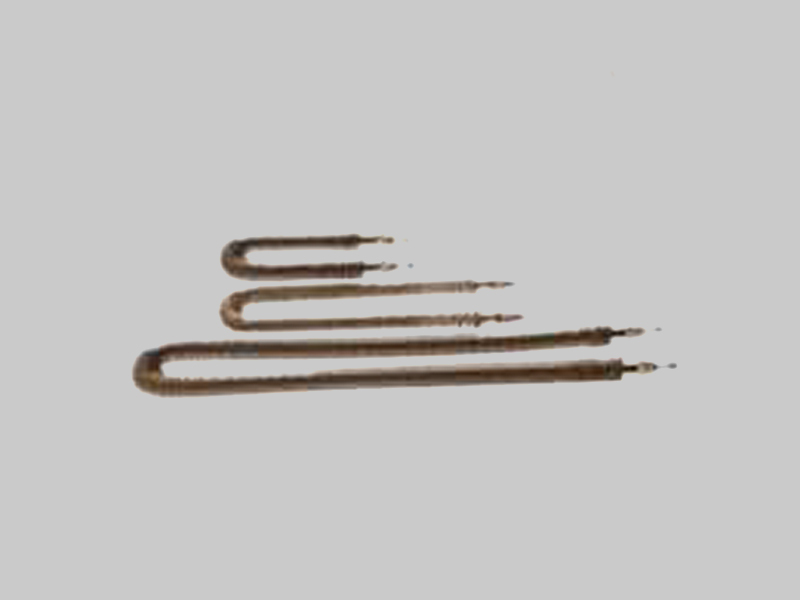 Droplet eliminators are provided where the coil face velocity exceeds 2.54 m/s as an option. 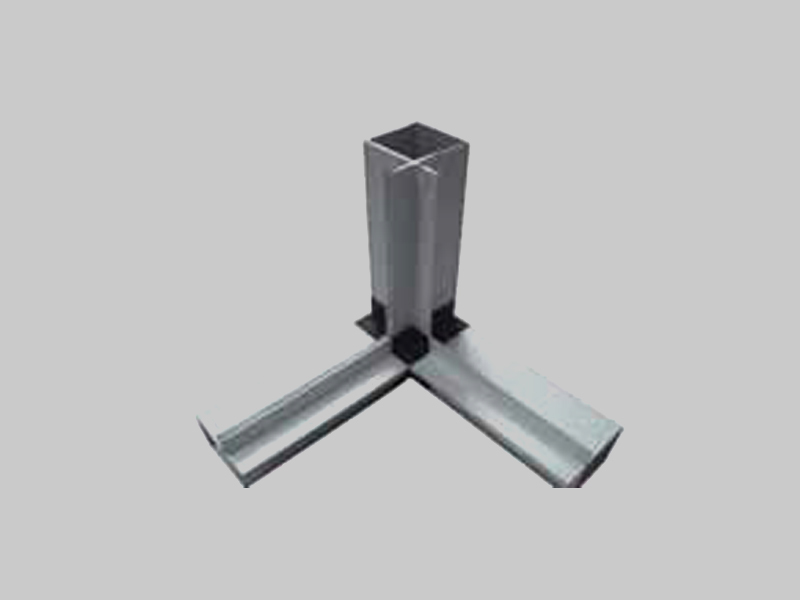 The droplet eliminator can be provided in Aluminum or PVC or Stainless steel construction. rippled aluminum fins. 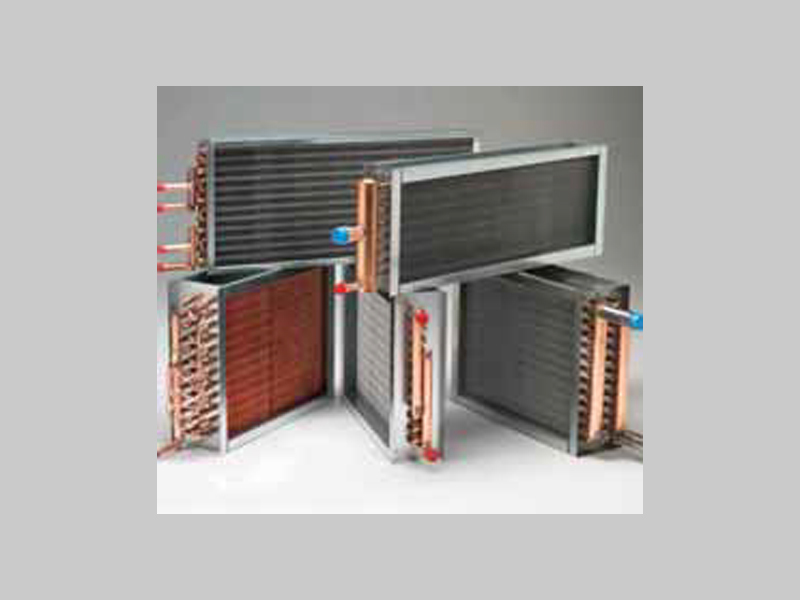 Th is ensures high heat transfer efficiency, low air resistance and longer coil life. 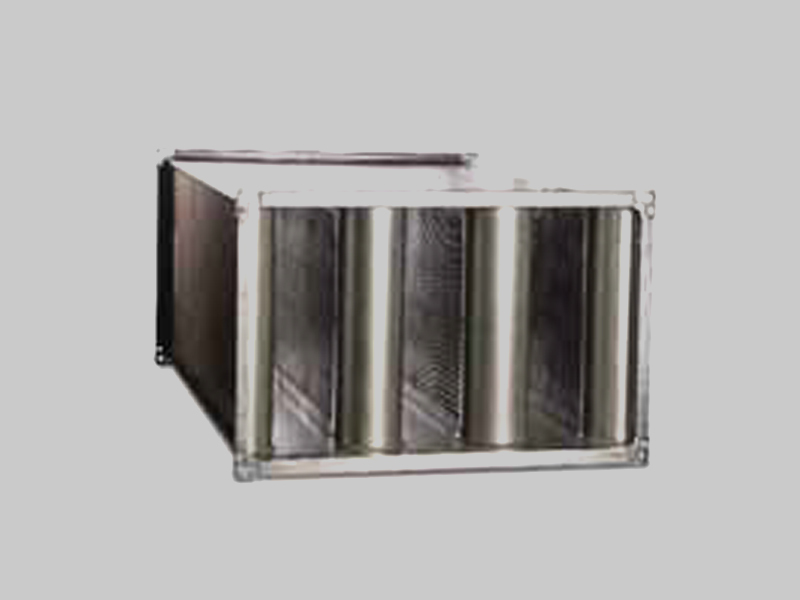 The cooling coil are designed as per AHRI-410 standard. Hydrophilic Aluminum or Copper fins are also available. An additional option of anti-corrosive coatings such as Heresite™, Copon Blue or blygold™ are also available. All Coils are provided with Copper /Mild steel headers. Coils are provided with Brass Threaded Male Adaptors / Connectors. Refrigerant coils are provided with Brass Distributors. Air & Drain vents made of Brass are standard for Water Coils The standard casing material for all coils is Galvanized Steel. 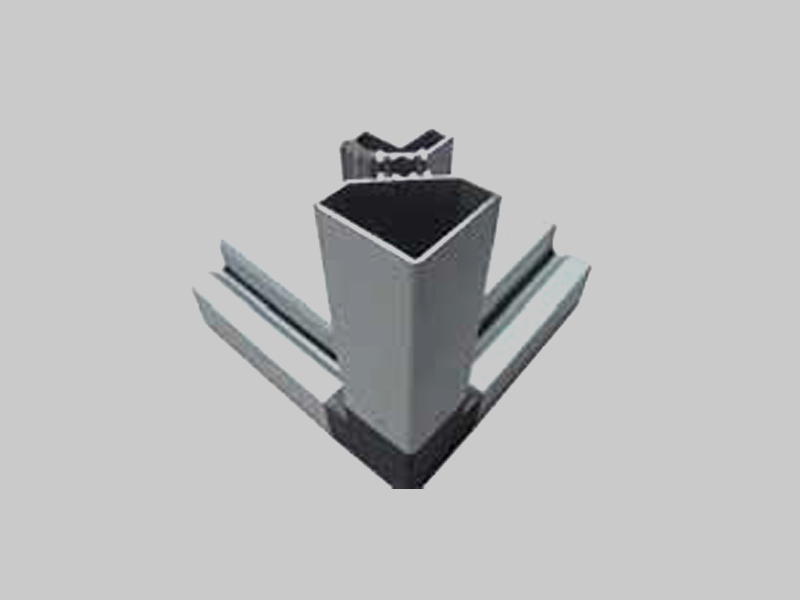 Casing can also be manufactured with Stainless Steel. AHRI-410 certified coils can be provided. 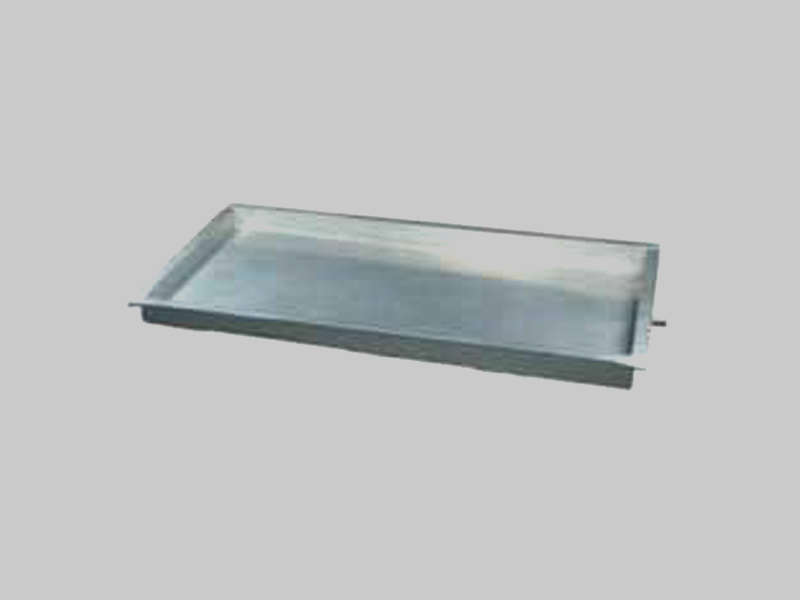 Drain pan is made from corrosion resistant Stainless Steel 304 grade as a standard feature. Multislope drain pans are designed as per ASHRAE 62 which ensures that all the condensate is drained and there is no microbial growth inside the unit hence maintains the Indoor Air Quality. The Drain pan is insulated externally with 10 mm closed cell Elastomeric foam to avoid surface condensate from outside. Stainless Steel 316 grade drain pan can be provide as an option. 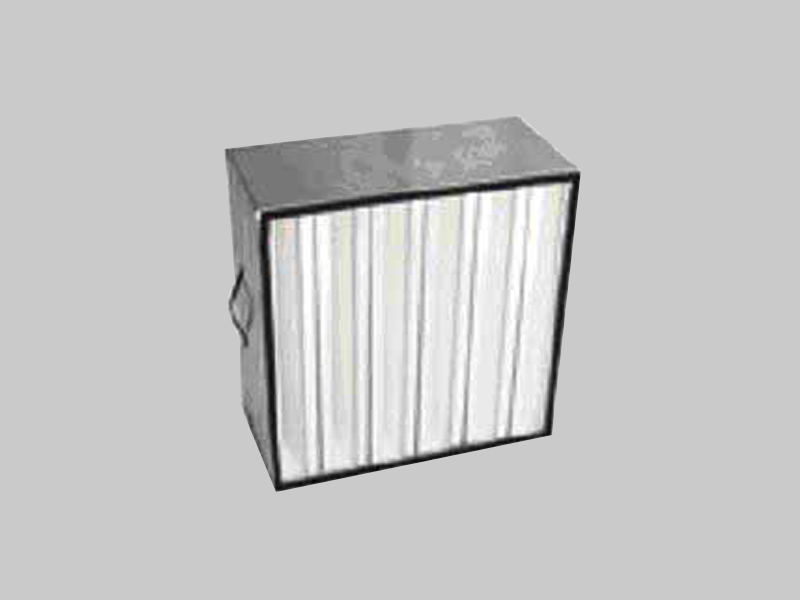 Filter sections are suitable for insertion of various types of filters. 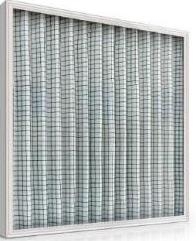 Filter sections are equipped with easily removable panels to permit and fasten the filters aft er the inspection and replacement. 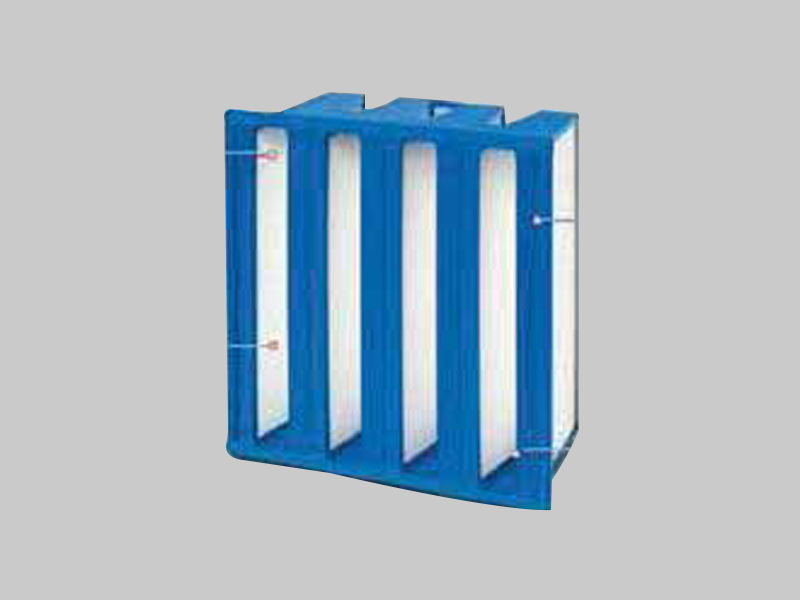 A complete line of filters are available to meet all kinds of filtration efficiency and requirements. Single or multi station filtration to suit different application conforming to the latest ASHRAE & EUROVENT standards are provided. 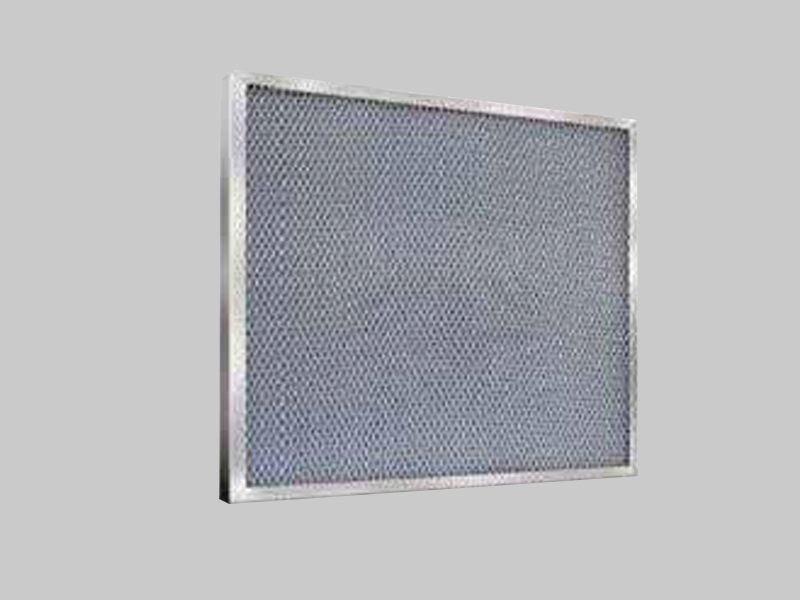 The filters are arranged in the grid in heavy–duty specially designed galvanized sheet steel frame to avoid air bypass and are removable and washable type. 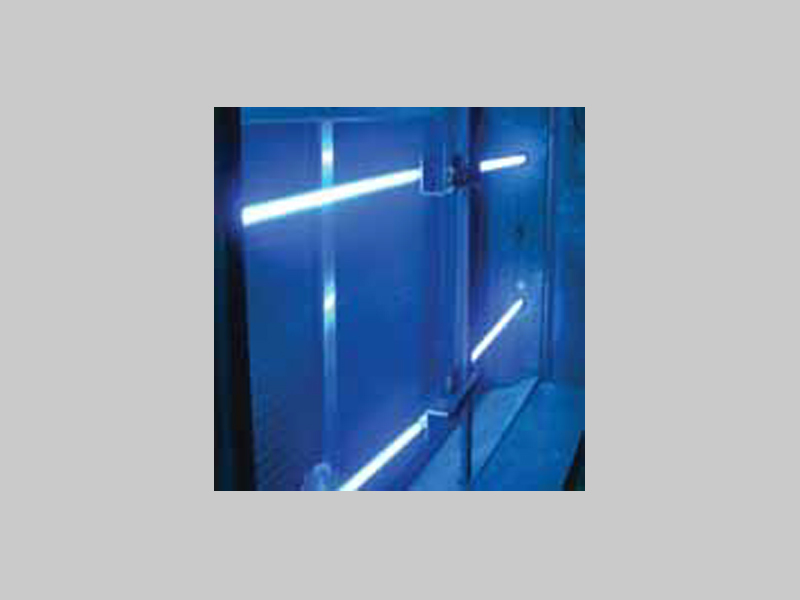 Ultra violet lamps are factory fitted as an option in the Air handling units to prevent the microbial growth and other air borne contamination. The UV lamps can be placed upstream or downstream of the cooling coil. The UV lamps are also used in the ecology unit to minimize emission of the harmful gases in the air. The thermal wheel is used to recover the energy from the exhaust air and subsequently bring down the overall cooling load. The thermal wheels are air to air rotary heat exchanger and can recover energy up to 80% without spoiling the IAQ. 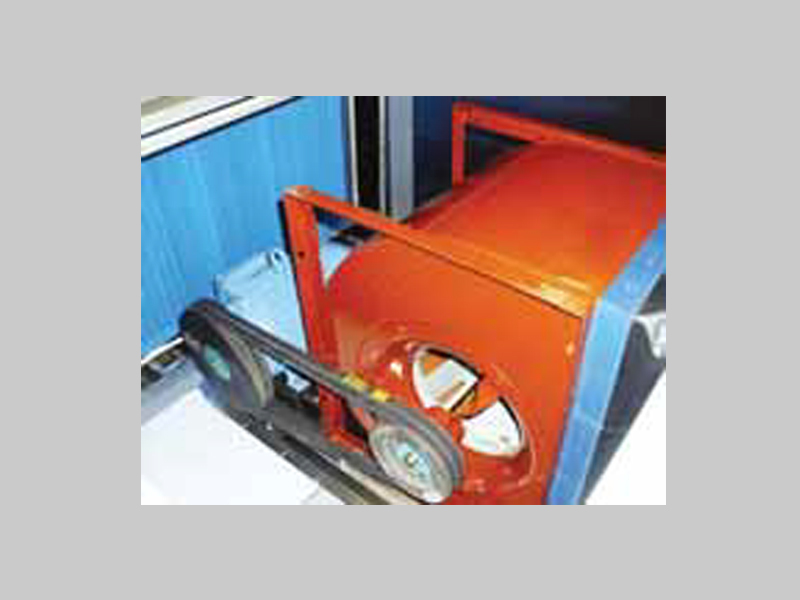 The heat wheel can recover both the sensible as well as latent heat thus reducing the load on the main cooling coil by around 30 % Two basic types of Wheels are available. Sensible heat recovery wheel – for sensible heat recovery only Enthalpy heat recovery wheel – for Sensible and latent recovery The thermal wheel is a revolving cylinder divided into a number of parallel flutes. The horse shoe coil is self sustaining coil, which operates on the ambient temperature without any external source of energy. 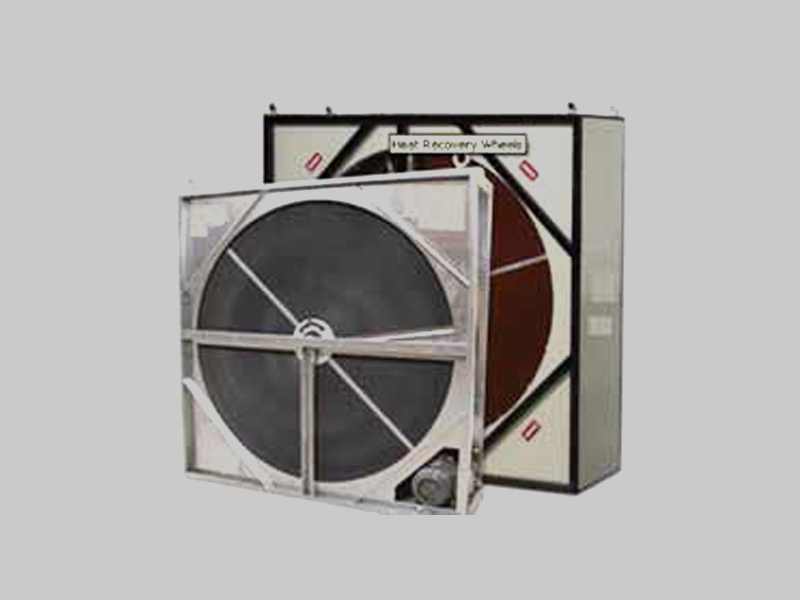 The Horse shoe coil are used as dehumidifier which helps to maintain the humidity and maintains the indoor air condition. Acoustic material is of inorganic non hygroscopic mineral fiber incombustible with class 1 Fire rating conforming to BS 476. Sound attenuators are conforming to international standard. specifications. 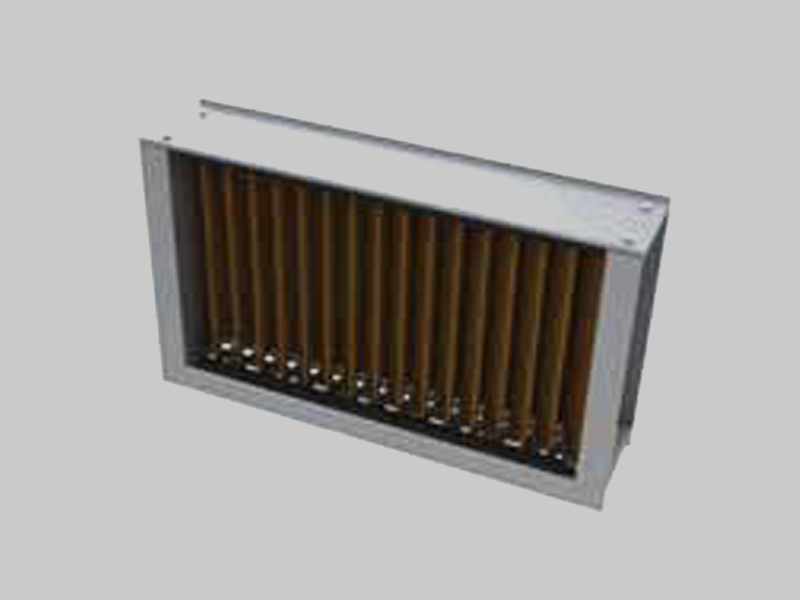 Heater can be provided with magnetic contactors, thyristor controller and disconnect switch (optional feature). 3 phase foot mounted induction motor. Standard Air handling are of two types Floor mounted (FM)/ Ceiling suspended (CS) which are also known as re circulation of AHU.